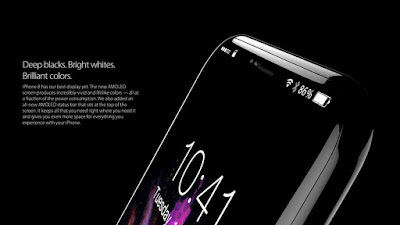 Though Mobile World Congress headlines are currently dominating the smartphone news cycle, we continue to see more iPhone 8 rumors sprouting up. And the most dramatic of them suggests that Apple may be preparing to introduce multiple new iPhones in the next few weeks. According to Japanese website Mac Otakara, Apple is planning an event for March during which it will unveil three new models based closely on existing iPhones; they would include an updated iPhone SE with 128GB of storage -- the current model tops out at 64GB -- and red editions of the iPhone 7 and iPhone 7 Plus, possibly as part of the company's longstanding support of the (RED) charity. It's worth noting that Mac Otakara has sometimes, but not always, correctly predicted previous moves by Apple. Another report currently making ripples in the rumor pool comes from Morgan Stanley analyst Katy Huberty (via Macrumors), bolstering the "kitchen sink" theory of a dramatically redesigned iPhone 8 that has tons of new features including an edge-to-edge OLED display, longer battery life, "more advanced AI software," and wireless charging. 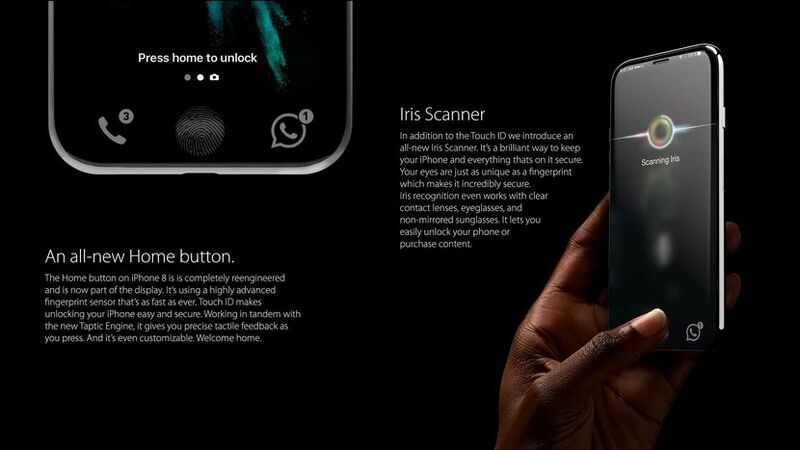 The Morgan Stanley report also predicts that the iPhone 8 will come equipped with 3D sensors that could enable a host of new features ranging from augmented reality to facial or iris recognition as an alternative to Apple's current Touch ID security protocol. 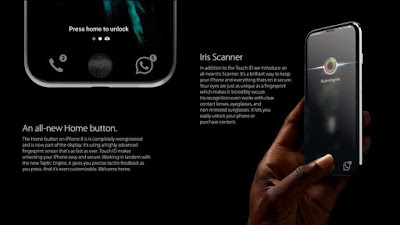 Veteran Apple analyst Ming-Chi Kuo has also recently voiced support for the 3D sensor theory, adding that Apple will equip with the iPhone 8 with a new front-facing camera system equipped with an infrared transmitter and receiver. Finally, a patent recently filed by Apple sets the stage for a Touch ID-like technology that recognizes the acoustic, rather than visual, properties of your fingerprint. Will it be called the iPhone 8, iPhone 7S, iPhone 10, iPhone X -- or something else entirely? For now, we're calling it the iPhone 8 -- but we don't know exactly what the company will call the next iPhone. Apple sometimes takes a haphazard approach to numbering, and with the possibility of multiple new models and price points, there are several names circulating that pass the smell test. Certainly, the iPhone 7S and iPhone 7S Plus are realistic contenders for a midcycle "S" refresh in March. For a more significant release in the fall, however, anything is possible. 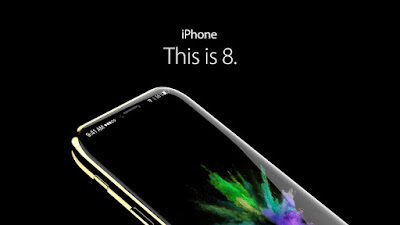 Of course, the iPhone 8 would make sense. But Apple could always hit us with something from left field, like the iPhone 10, in a nod to the device's 10th birthday, or even the iPhone X in the tradition of Mac OS X (X being the Roman numeral for 10). Fast Company reports that the 10th-anniversary edition of the iPhone could cost more than $1,000. That's likely if it includes the everything-but-the-kitchen-sink list of features that all the rumors suggest. If Apple ends up releasing the iPhone 7S and iPhone 7S Plus too, they could serve as cheaper flagship models with fewer premium materials. Lots of sources on this one. Reuters reports that there are multiple groups at Apple working on technology for an iPhone that supports wireless charging. Earlier in February, Apple joined the Wireless Power Consortium -- a potential harbinger. Last year, The Verge reported that Apple has been staffing up on wireless charging experts, and the Nikkei Asian Review reported that Foxconn, one of Apple's main manufacturing partners, was making wireless charging modules for the 2017 iPhone. Veteran Apple analyst Ming-Chi Kuo has suggested that all new iPhone models will feature wireless charging, according to Macrumors. But other reports have predicted that that wireless charging will not be an integrated capability, but instead available through a separate accessory. It's worth mentioning that Samsung's top-tier phones have supported wireless charging since 2015's Galaxy S6, and some Lumia phones (both under Nokia and Microsoft) had it back in the day, too.